"On Tuesday April 10, The Mayor of Daytona Beach Shores , Harry Jennings unveiled a plaque dedicating the new pickleball courts in McElroy Park. Mayor Jennings was proud to announce that not only were these the first and only, newly constructed pickleball courts in Volusia county but also the first public/private partnership in Daytona Beach Shores 54 year history. Surrounded by a large very enthusiastic crowd of pickleball players,The Leo and Lydia Amiel Pickleball Courts became a reality .As you can see from the picture below the final painting is being completed. The play on the courts is expected to begin by next week. Play in the area started with 6 people a year ago and has grown to more than 40. 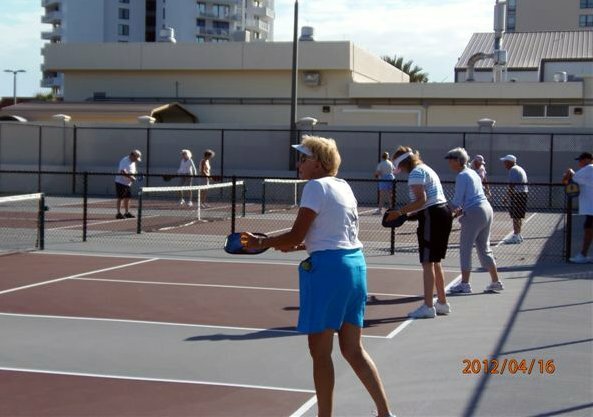 In addition this dedicated group of players has done demonstrations in the adjoining counties and helped start pickleball in Port Orange and Ormond Beach with a demonstration planned on the 26 the April in Deland . A lot has transpired in a year thanks to Roni Jackson and Mike Pascale and the foresight of our Mayor and City Council." 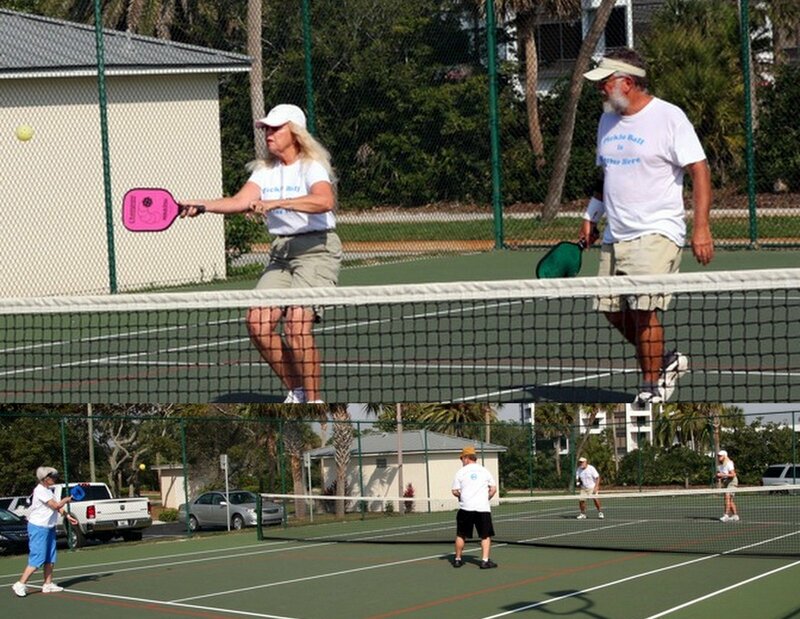 A few of the local players take to their current lined courts to play a few games, waiting for the final touches on their new Leo and Lydia Ameil Pickleball Courts. On April 16th - the players were enjoying their brand new courts. CLICK HERE for all the pictures of the court's dedication.